Posted in: Integy, Radio Control. Tagged: New Releases, RC. 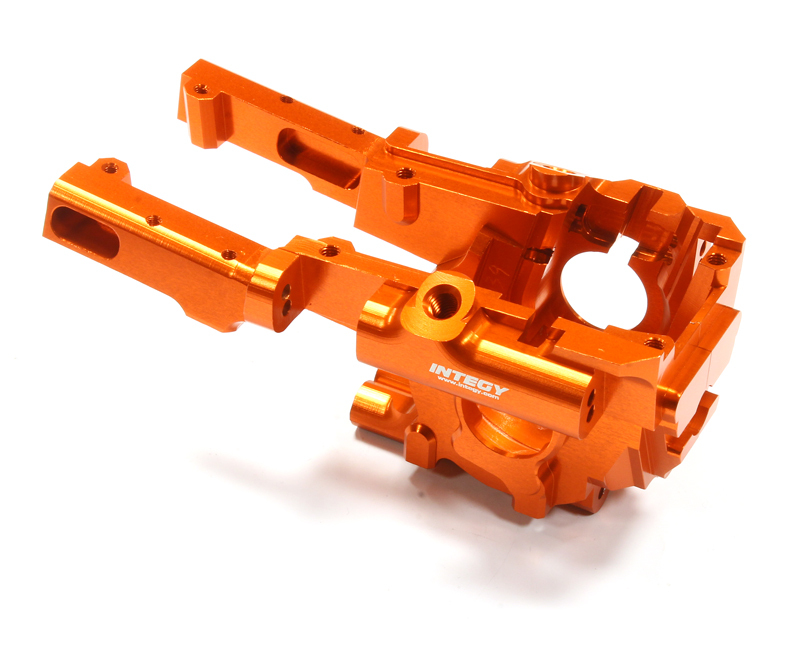 Team Integy’s latest newsletter is tempting us with a some of their latest offerings. 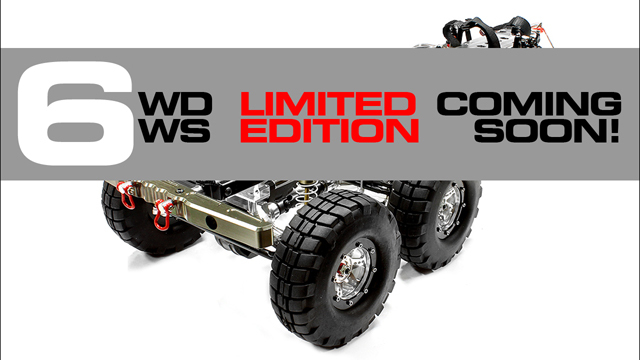 The 6WDWS is a limited edition chassis that will definitely get people talking. If I read it correctly, it will have six beadlock wheels, six wheel drive, three driveshafts, three axle steering, ten suspension links, and be made up of about 95% aluminum alloy or steel components. Sadly at this point that is all the details I have for this potential bad boy. 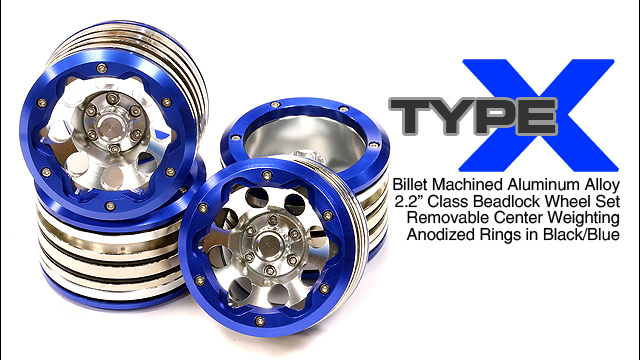 Some other items in the newsletter include Alloy Type-X 2.2 Weighted Beadlock Wheel Set, V2 Mini Tool Set 7pcs with Carrying Bag and Rear Billet Machined Lower Suspension Arm for HPI Bullet. 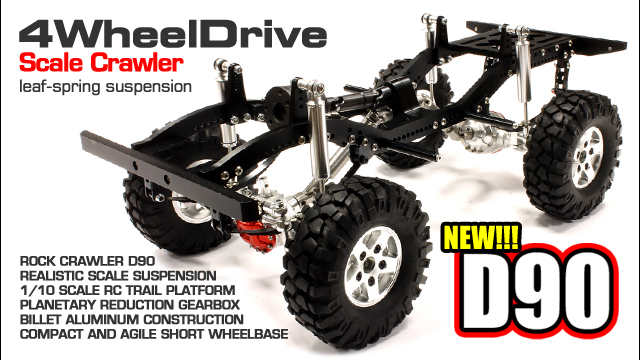 The 6WDWS is something that has my interest, I would love to get my hands on one. I look forward to seeing the finished product. Posted in: Integy, Radio Control. Tagged: RC, Upgrades. Need more off-road performance? 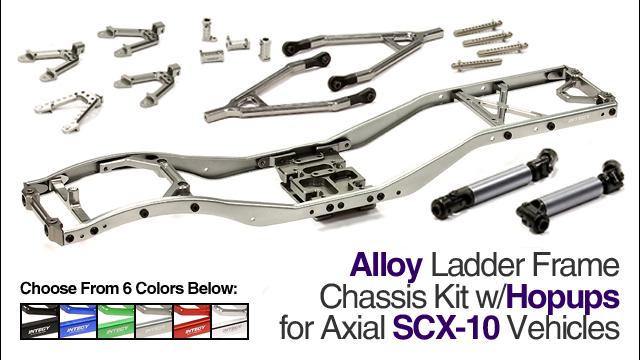 Replace your stock 1/10 Traxxas Slash 4×4 shocks with a set of Billet Machined Super-Duty XSR9 Piggyback Shock Set. These upgraded shocks feature tough hard-coated aluminum shock bodies with anodized aluminum caps, external oil reservoir for more dampening action, smooth sliding and precise Titanium-Nitride shock shafts, o-ring seals, alloy preload retainers, and a tool-free adjustable compression dial. 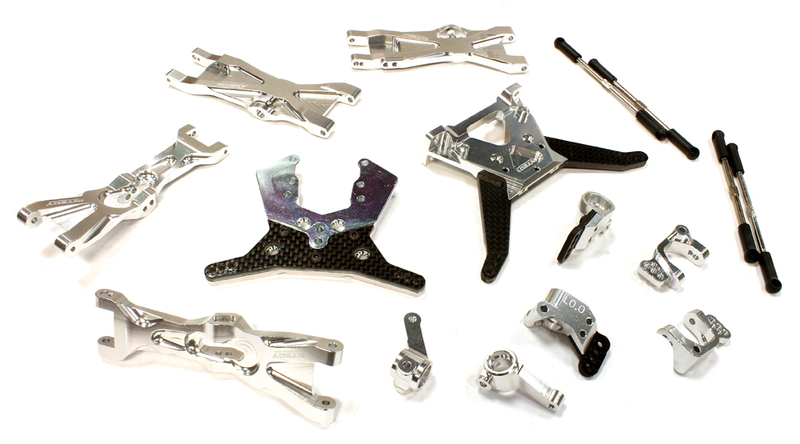 The shocks are sold as a set of four, and bolt onto your chassis using the factory mounting points using factory hardware for easy installation. The shocks are available in six colors: blue, green, gunmetal, orange, red, or silver. limited edition vehicle – the D90. With a shortened wheelbase for agility and a planetary reduction gearbox for some serious torque, the D90 is fully built with a long list of our aluminum alloy hop-ups. 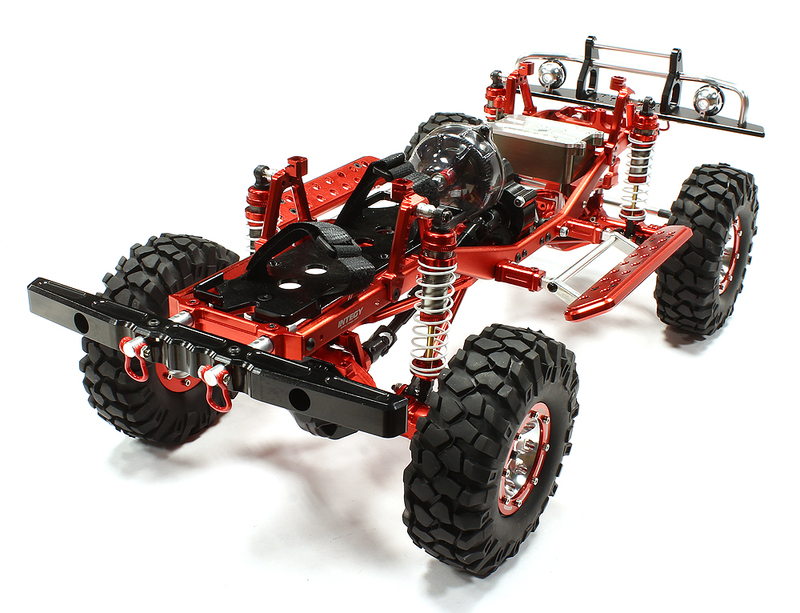 Scale looks are preserved with its adjustable leaf spring suspension, 1.9″ beadlock wheels and tires, and forward mounted gearbox and motor position. The D90 is available in black or silver, and they also have replacement and aftermarket parts here.